Streaks of red, white and blue smoke will light up the sky over Muscat later today as Britain's Red Arrows aerobatic display team continues its tour of the Middle East. Crowds are set to gather along the coast as the group of Royal Air Force pilots fly over the Omani capital in a demonstration of formation and precision flying. 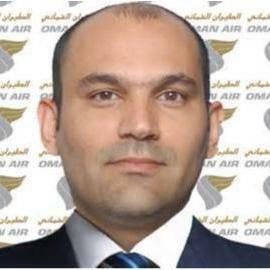 According to the British Embassy in Muscat, the show will begin at 3pm on Tuesday. Spectators are advised to head to Shatti Al Qurum beach near Muscat's InterContinental Hotel in order to get the best view. 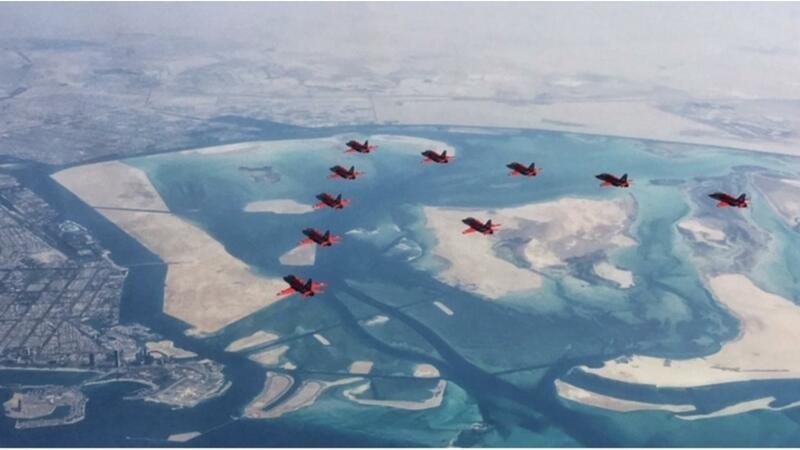 The display team left Qatar on Monday, taking in stunning views of Abu Dhabi from 27,000 ft, before entering the Sultanate. When the Red Arrows' 2017 Middle East tour comes to an end, the team will have wowed onlookers in Saudi Arabia, Jordan, Kuwait, Qatar, Oman, Bahrain and the UAE. According to UK defence secretary Sir Michael Fallon, the tour's aim is to promote the United Kingdom's long-standing relations across the Gulf. Speaking last month, he said: "This historic Red Arrows tour will be a visible demonstration of UK engagement across the globe, flying the flag to promote Britain in important capitals through the GREAT campaign." As well as highlighting the strong military relationships the British Armed Forces has with countries across the region, the tour is aimed at demonstrating that the UK is "open for business", committed to peace and security, and remains a leading player on the global stage.